CXXXVI, 413 p., 2 ill., 17,2 x 25,0 cm. With a preface by Eckart Förster. 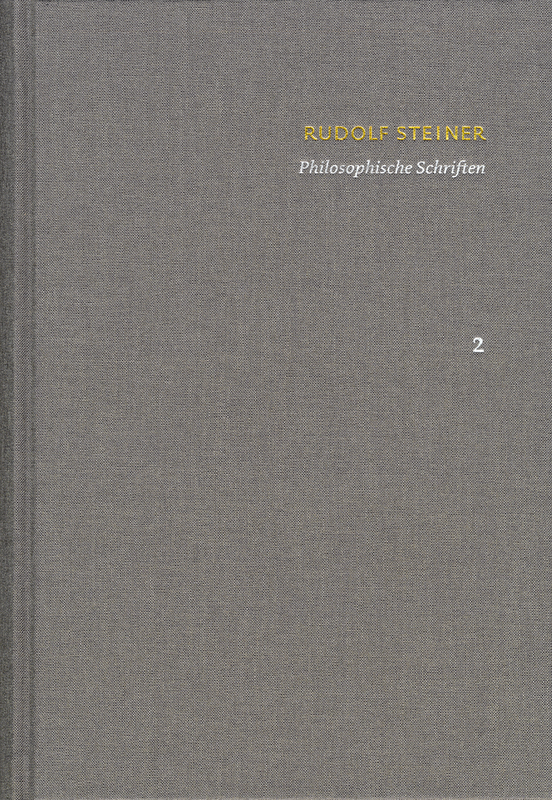 Volume 2 of the SKA presents Steiners monographs ›Wahrheit und Wissenschaft‹ and ›Die Philosophie der Freiheit‹, the first of which is Steiner’s doctoral dissertation of 1893. This relatively short treatise, which was later amended, is essential for understanding how deeply Steiner’s thinking was rooted in concepts essential to German Idealism. The ›Philosophy of Freedom‹ (also known in the English speaking world as »The Philosophy of Spiritual Activity«), is generally considered Steiner’s theoretical Magnum opus. Although it was rejected by major philosophical authorities of the time, such as Eduard von Hartmann, and although Steiner later turned away from philosophy and embraced a more mystical and esoteric style of writing, he defended the book until the end of his life and considered it the definitive expression of his vision. It outlines a systematic defense for conducting scientific research based on inner experience and thus provided a theoretical foundation for his »Geisteswissenschaft« (»science of spirit«) or Anthroposophy. The volume presents these crucial texts in critical edition with textual variants, introductions and commentaries.